Tahitian Noni International is best known for Tahitian Noni® Juice. ; a healthy fruit beverage that delivers superior antioxidants to the body, and initial research suggests that system. Its proprietary blend of ingredients is 100 percent natural and cannot be duplicated or matched. Although Tahitian Noni® Juice remains their flagship product, Tahitian Noni International has spent millions of dollars researching the benefits of the Noni fruit, seed, and leaf. 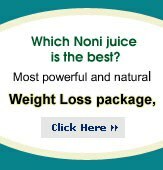 This research has resulted in proprietary, one-of-a –kind products that include Noni leaf teas, a women’s weight lossline, vitamins and nutrition packs, healthy extracts products, and more. It has also led to the creation of patented ingredients such as Noni based serums and essential oils that are used in exotic Tahitian Noni TMbeauty, skin, and hair care products lines. Tahitian Noni International is introducing an entirely new product category with launch of HIRO. This a is first Noni enriched beverage line that is a source of energy.Vitality, and mobility you can feel good about drinking. Tahitian Noni International is committed to maintaining the environment and resources of Tahiti. The Noni industry is a clean, environmentally friendly industry, and harvesting practices are closely monitored to ensure it stays that way. The Tahitians are full partners in bringing the benefits of Noni to the world, and their economy has benefited tremendously from the jobs and growth the Noni fruit has produced. In 2004, the government of French Polynesia officially recognized Tahitian Noni International for its positive impact and contributions to the nation’s economic growth. Around the same time, the International Council of Caring communities, a U.N. –sanctioned council, also recognized Tahitian Noni International with the “Corporation with Social Responsibility” award. 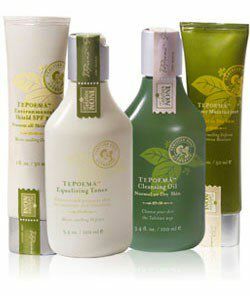 Tahitian Noni products are sold by hundreds of thousands of Independent Product Consultants worldwide. Tahitian Noni International has paid back nearly $2 billion in commissions to its Independent Products Consultants in just over 10 years. Every 1.8 seconds, someone buys a bottle of Tahitian Noni® Juice. Inc. magazine ranked Tahitian Noni International 26th on its list of 500 fastest growing companies. There are more that 30 Tahitian Noni sales offices and lifestyle centers throughout the world. Tahitian Noni Independent Product Consultants have access to cutting –edge sales channels, including Internet, catalog, and brick-and-mortar sales centers. Learn how to get Free Shipping and No TAX!! * The trademark Tahitian Noni® refers to Tahitian Noni® brand products. Reference: Network Marketing Business Journal, April 2007.